A fun, whimsical and bright line of kitty fabric by Quilting Treasures. Mix and max all the fabrics from this beautiful line of fabric. Create a fun children's quilt or make a beautiful baby nursery. All fabrics from Quilting Treasures are quality 100% cotton great for quilting and general sewing. All fabric from The Quilted Nursery Fabric Store are sold directly from the bolt. Great contrast fabric. Always cut perfectly and well packaged. 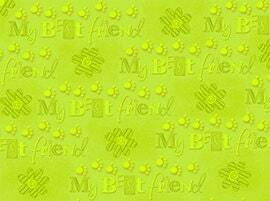 Fabric is of nice quality and the color was perfect for the citrus colors I am using in my quilt.